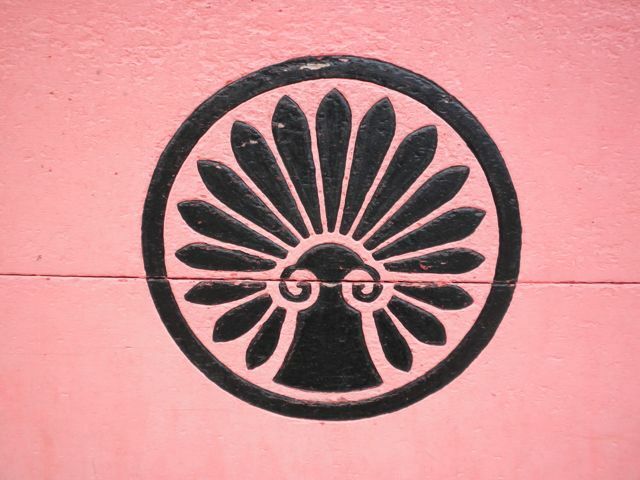 My spouse found this shuro family crest, which is displayed at a shrine near Mount Fuji. 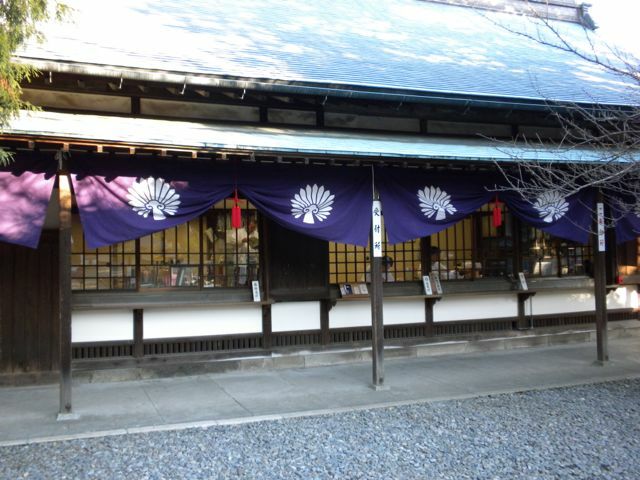 The shuro palm is native to Japan and grows wild in Tokyo. I’ve been delighted to find it in parking lots and formal gardens. This year we are planting seeds to see if we can grow it on the balcony. No matter how planned or controlled, even a balcony container garden gets volunteer plants. 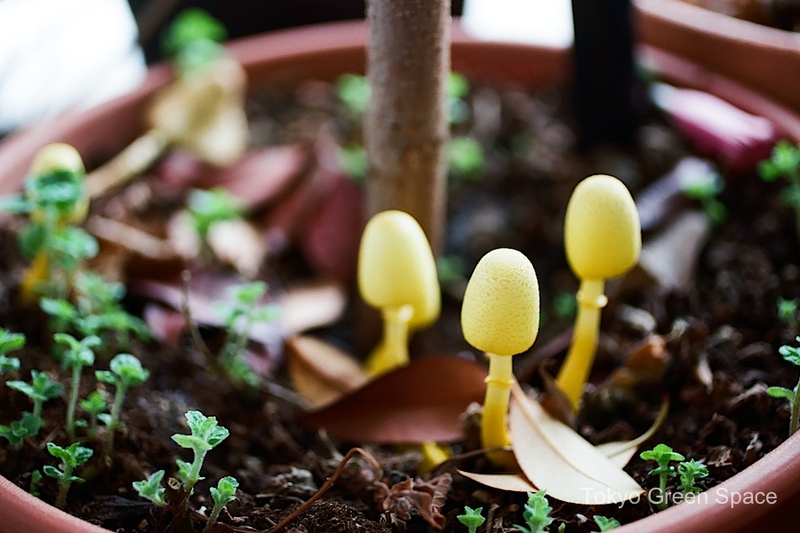 These mushrooms are neon yellow. 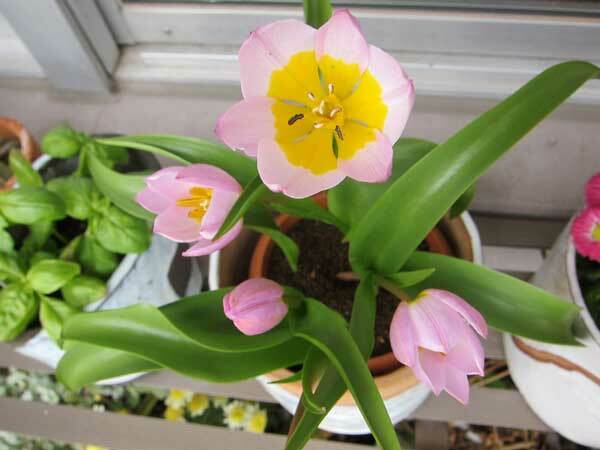 I love these species tulips that Hiyoko brought from Amsterdam last fall. They are small and simple, with a great combination of pink and yellow. This type of tulip is closer to its wild origins in Turkey and, before that, Iran. Thanks, Hiyoko, for bringing these bulbs to Tokyo! 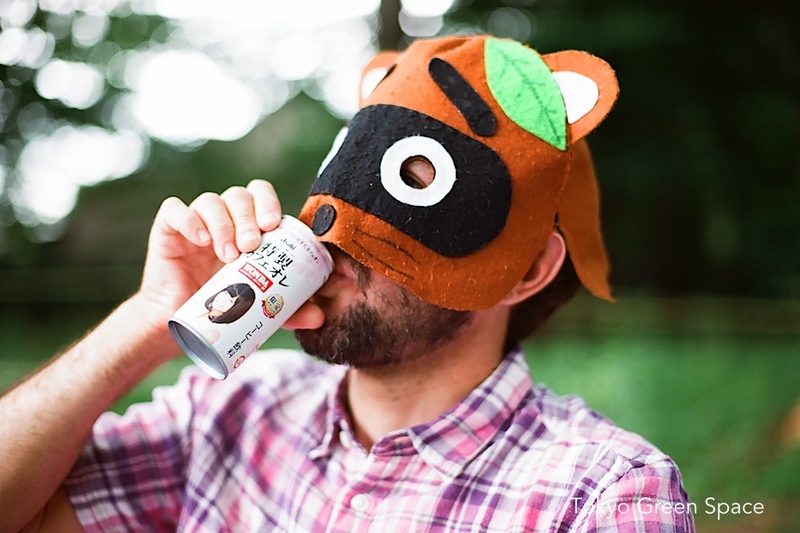 The Nezu Museum and its gorgeous Japanese garden are a just short walk from the Nishi Azabu Juban wildness, the Kakuremino bar, and lush sidewalk garden. Many people come to the newly rebuilt Nezu Museum for its exquisite collection of pre-modern art, or the new building designed by Kuma Kengo. I am a huge fan of its garden that combines tea houses and paths in a setting that seems ancient, slightly overgrown, bigger than its footprint, and entirely removed from city life. When I visited recently, just before closing time towards the end of a long, hot summer, I was enchanted by how the light struck this worn boat, the plants growing in its bow, and the illusion of minimal human habitation in an endless jungle. I was also surprised to see Japanese maple leaves already turning red, despite the temperature being above 32 celcius (90 fahrenheit) for many weeks. 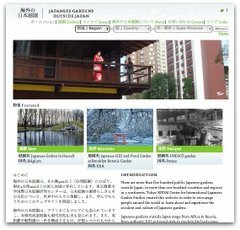 Taken together, these four posts about Nishi Azabu Juban speak to the wide range of nature in the city: professional and amateur gardens, single plants and total environments, built and wild, public and gated, destinations and everyday experiences. Plants grow wild even in the densest cities, but how we choose to nurture them provides endlessly varied results. I am inspired by the full range of possibilities. Walking on a small street in Hiroo, in central Tokyo, we heard a strange noise and saw some people staring at a persimmon tree. On closer examination, we saw that there was a flock of wild green parrots gathered in this tree. The green on orange colors perched on a leaf-less tree is sublime. I have seen wild parrots throughout San Francisco, and there was even a movie about them. I didn’t realize that Tokyo was warm enough for them to survive outdoors. I wonder how many there are. Speaking with a woman recently about urban ecology, she told me that she enjoys city bird-watching. It made me realize that bird-watchers, particularly those who enjoy their hobbies in the city, can be an important voice for improving urban landscapes and habitats. Maybe urban bird-watchers are analogous to surfers who have been active in the clean ocean movement.